Lou Albano was an American professional wrestler, manager, and actor. Check out this biography to know about his childhood, family life, achievements and fun facts about him. Louis Vincent "Lou" Albano was an Italian American professional wrestler, manager, and actor, who was prominently affiliated with World Wrestling Federation (WWF/E). 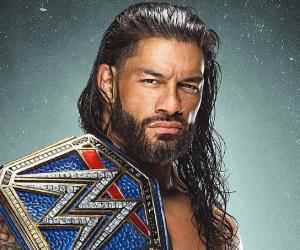 Regarded as one of the earliest superstars of the industry, he had a moderately successful career as a professional wrestler before becoming a manager. As a youth, he was athletically gifted, competing in track and field events as well as leading his school football team to numerous victories. He then joined the United States Army but due to the injuries obtained in the football field, he was honourably discharged after eight months. Trying to figure out what to do next, Albano harboured boxing aspirations for a short while. However, he eventually took up wrestling. He debuted in the professional circuit in 1952 and would be active for the next 17 years. Despite being an average wrestler, it was quite apparent that he was an entertaining speaker. 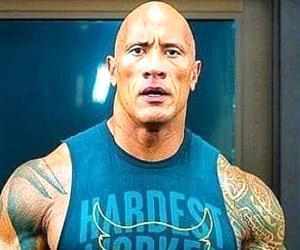 In 1969, he began the second phase of his professional wrestling career as a manager. One of the three managers collectively known as the “Triumvirate of Terror”, Albano’s “clientele” included 15 tag teams and four singles champions. Considered to be the forefather of the 1980s’ Rock 'n' Wrestling Connection for his elongated beard, rubber band facial piercings, and loud outfits, he played a pivotal role in mainstream audiences’ embracing professional wrestling. In his later years, Albino became a successful actor, playing numerous memorable roles in both films and television shows. 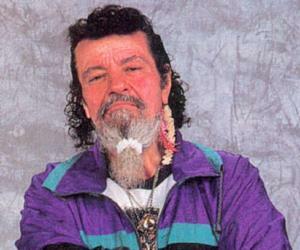 Louis Vincent "Lou" Albano was born on July 29, 1933, in Rome, Lazio, in what was then the Kingdom of Italy. His parents Eleanor and Carmen were of Italian ancestry but were born and raised in America. Carmen was an obstetrician while Eleanor was a pianist who later became a registered nurse. They moved to Italy in the early 1930s. Shortly after Albano’s baptism, which was performed in the Vatican itself, Albano’s parents returned to the US and began living in the Mount Vernon area. He had eight siblings, four of whom survived childhood. He studied at Archbishop Stepinac High School in White Plains, New York where he first demonstrated his athletic abilities. He not only participated in the track and field events, but was also picked as the captain of his school’s football team. Amazingly, he received scholarship offers from 32 colleges as a senior. He eventually picked the University of Tennessee for their excellent football program. However, he was expelled a year later due to his poor attitude and an attempt to cheat in the final examination. He then enlisted in the US Army. But the injuries that he had sustained during his football days forced him to accept an honourable discharge after just eight months. Following his retirement from medicine, Albano’s father wanted to start an insurance business with him, but Albano had already decided to try his luck as a professional boxer. He met Willie Gilzenberg, a boxing promoter who would later serve as the titular president of World Wide Wrestling Federation (WWWF), an early version of WWF/E. Due to Albano’s short stature, Gilzenberg advised him to enter wrestling. He trained with Soldier Barry, one of his childhood idols, and they started doing house shows together in New York in 1952. The original stories involving him referred to him as the “pretty boy”. His character was a babyface known as the “Leaping Lou Albano”. 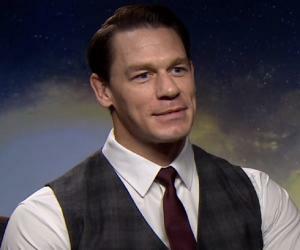 However, following a non-wrestling injury that left a gash on his forehead, he purposefully did not let the mark heal completely and turned heel. He adopted a new name, “Mount Vernon Mauler”, garnering a reputation in the New York’s professional wrestling scene. During this period, Gilzenberg introduced him to Vince McMahon Sr, who hired him for his Capitol Wrestling Corporation in Washington, DC, a predecessor of WWF/E. Albano spent the rest of his professional career with the promotion and while as a solo wrestler he was quite unimpressive, his work with tag-team partner Tony Altomare did garner him some success, including the WWF Tag Team Championship in 1967. It was Bruno Sammartino who suggested to McMahon that Albano, a mediocre wrestler at best, would better serve the promotion if he was attached to a wrestler as a spokesperson. Albano debuted as a manager for the Spanish wrestler Oscar "Crusher" Verdu in 1970 and proved to be an instant success as a heel character who could really rile up the audience. As “Captain Lou Albano”, his brash, bombastic promos earned him much recognition as well as helped his clients leave memorable impressions on the spectators. Albano was so convincing on the microphone that in January 1971, after his client Ivan Koloff defeated Sammartino, ending his seven-year reign as the WWWF Heavyweight Champion, a riot broke out in Madison Square Garden. Albano, his wife, and a family friend had to be escorted out of the arena, but the crowd followed them. They first tried to escape in a taxi but people broke its windows. They then took shelter in a bar nearby and were bombarded with mud and objects until the police arrived. When he retired from WWF in 1986, he left behind an unparalleled legacy. He had managed 15 different tag team championship winning teams and four singles gold winners. Despite playing a heel for the majority of his managing career, Albano ended his career as a face. 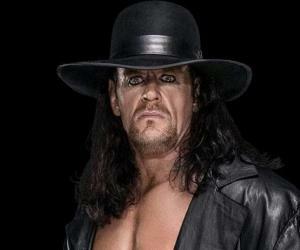 In the following years, he would make sporadic appearances in WWF/E events. Albano made his screen debut in 1952 in CBS’ ‘The Jackie Gleason Show’. Due to his busy schedule as a WWF employee, it would take him another 37 years to land his first significant credit. In 1989, he was cast as the voice of Mario in ‘The Super Mario Bros. Super Show!’ He would later reprise the character in ‘The Adventures of Super Mario Bros. 3’ (1990). In 1986, he made his cinematic debut in the crime comedy ‘Wise Guys’. His other important works include musical comedy ‘Body Slam’ (1986), action comedy ‘Complex World’ (1992), adventure fantasy ‘Stay Tuned’, and family-mystery series ‘Ghostwriter’. Albano’s final film ‘Hot Ice, No-one Is Safe’ was posthumously released in 2010. In 1984, Albano was on a flight to Puerto Rico. Singer Cyndi Lauper was there as well. They met and agreed to work together sometime in future. In WWE, a storyline began to build around the two, with Albano claiming that he had written all of Lauper’s songs and she owed all her success to him. It all culminated in a match where they agreed to compete by proxy on July 23, 1984. Lauper was represented by Wendi Richter, while Albano picked The Fabulous Moolah. Broadcast live on MTV, it gave WWE the opportunity to access the coveted young adult demographic. The match established professional wrestling as a mainstream entertainment mode, and heralded its 1980s boom. His collaboration with Lauper extended beyond the professional wrestling circuit. He played her screen father in the music videos for ‘Girls Just Want to Have Fun’, ‘The Goonies 'R' Good Enough’ and ‘She Bop’. He was also featured in the video for ‘Time After Time’. As a professional wrestler, Albano won the WWWF United States Tag Team Championship with Tony Altomare on July 10, 1967. Pro Wrestling Illustrated hailed him as the Manager of the Year three times (1974, 1981, and 1986). He also received the Editors’ Award from the magazine in 1994. Albano was inducted into the WWE Hall of Fame in 1996, Professional Wrestling Hall of Fame and Museum in 2009, and Wrestling Observer Newsletter Hall of Fame in 2012 (posthumously). Lou Albano married Geraldine, his high school sweetheart, in 1953. They had four children together, including a son named Carl, who has been serving as a member of the Putnam County Legislature since 2011. After a health scare in the 1990s, Albano began to work out earnestly, eventually shedding 150 pounds (70kgs). He suffered a heart attack in 2005, but made recovery. On October 14, 2009, at 76 years of age, he passed away due to heart failure. At the time, he was living in hospice care. 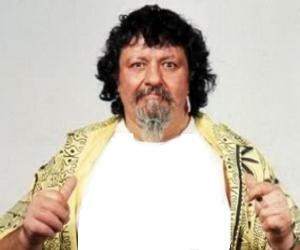 His wrestling moniker, “Captain Lou Albano”, was inspired by his time as the leader of his school football team.